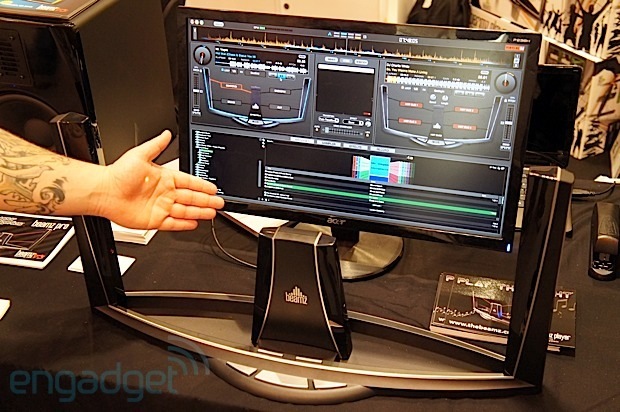 Remember that Google TV device ASUS brought out at CES? It could be available later this month. 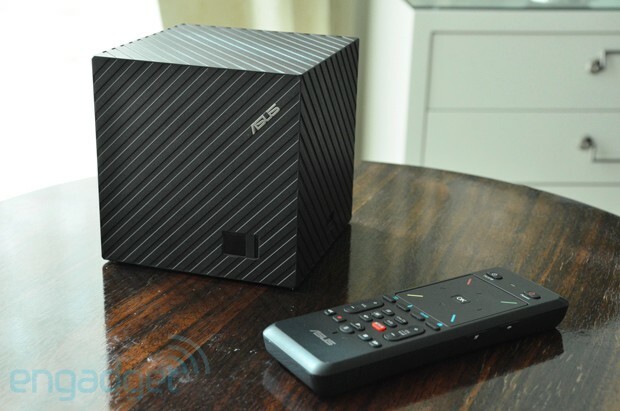 When the ASUS Qube's March 2013 release window passed without fanfare, the folks at GTV Source took note and did some probing -- eventually uncovering an April 23rd launch date. ASUS hasn't made a statement regarding pricing or availability, but the site says the release date and a $129 sticker price were confirmed by the manufacturer. When the streaming box does get here, it'll feature its own shape-themed UI, controllable by either the Qube's own remote, or via any Android device running a companion app. We'll let you know when ASUS makes things official. In the meantime, feel free to check our hands-on to see if it's hip to be square. Bluetooth speakers still tend to revolve around portable designs, but there's been a gradual shift toward traditional-looking speakers that just happen to have short-range wireless as an option. 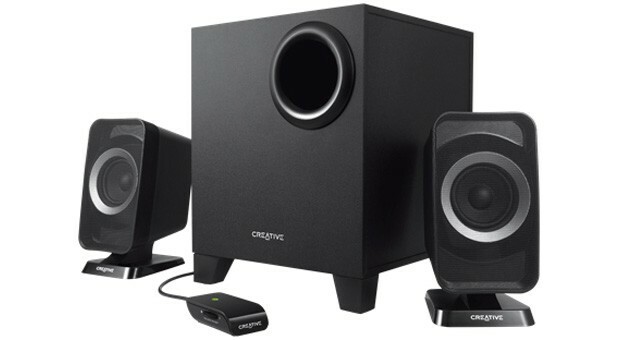 Creative's T3150 is proof positive: while it's an entry-level, 2.1-channel PC speaker on the outside, it stuffs in stereo Bluetooth audio to handle mobile devices in a pinch. Mind you, that's not the only thing Creative is stealthy about. Although the company is willing to say that the T3150 has an Image Focusing Plate to widen the listening sweet spot, there's no mention of the power output; we've reached out for more detail. At prices of £60 and €70 (around $100) for the planned May launch, though, we'd expect a modest amount of wireless audio power. Last month, Samsung outed an update to the 13-inch Series 9 that saw its 1,600 x 900 LCD display replaced with the glory of full 1080p. And starting today, that Windows 8 Ultrabook is going on sale with pretty much the same internal configuration it had in a previous, less Premium life -- save for the 2GHz Core i7 inside. For a cool $1,400, you're looking at 4GB of RAM, an integrated Intel HD Graphics 4000 GPU, WiFi a/b/g/n and a 128GB SSD all neatly packed into an aluminum unibody design. So, you can do your eyes a favor (and your wallet some significant damage) by trading up now. Or stick with what you've got. Don't worry, if they don't ask, you don't have to tell Intel. 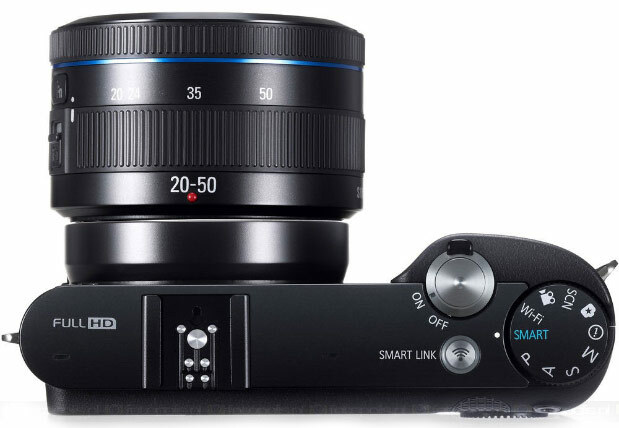 Samsung's quietly introduced replacement for the NX1000, the NX1100, just hit stores today with a $600 price tag. The camera, which sports a 20.3-megapixel CMOS sensor, 921k-dot, 3-inch LCD, 8 fps RAW and JPEG shooting, a top sensitivity of ISO 12,800, 1080p video capture, built-in WiFi and an Android and iOS companion app, comes bundled with a copy of Adobe Photoshop Lightroom 4, which typically carries a sticker price of around $125. You also get a 20-50mm f/3.5-5.6 lens and an external flash in the box, making this quite an appealing offer for beginners looking to step up from a point-and-shoot. 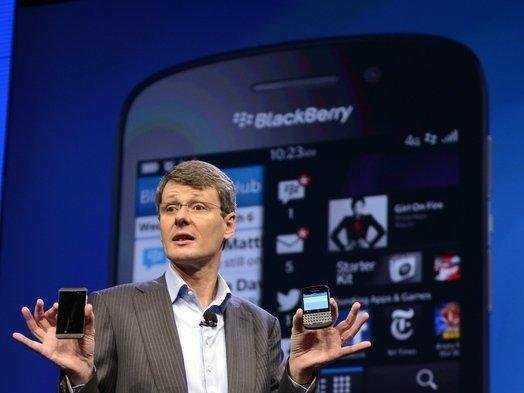 BlackBerry's stock is tanking this morning following a report from ITG Investment research that says sales of the company's new BlackBerry Z10 phone are weak in the US. In many cases, ITG says more people are returning the Z10 than keeping it and overall demand for the phone in the US is very weak. The Z10 launched in late March on Sprint, T-Mobile, and AT&T, but early reports say those carriers haven't done a great job at promoting the phone. AT&T was the first carrier to sell the phone and many stores didn't even have demo units on display on launch day. BlackBerry's stock is down 5.4% as of this writing, trading at $13.89 per share. 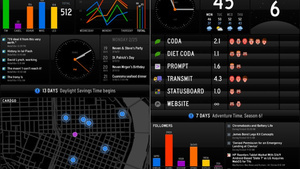 Information-hungry iPad users are in luck with Panic's newest release: Status Board, a customized, at-a-glance display of more tidbits than you could possibly consume. While the $10 price tag might seem steep, you're immediately treated to a friendly, soothingly-soundtracked setup assistant who guides you through the entire process of picking and choosing your knowledge-to-be. You can still adjust after the fact though, adding things like email, weather, reminders, news feeds, Twitter—anything, really. The app is your oyster. 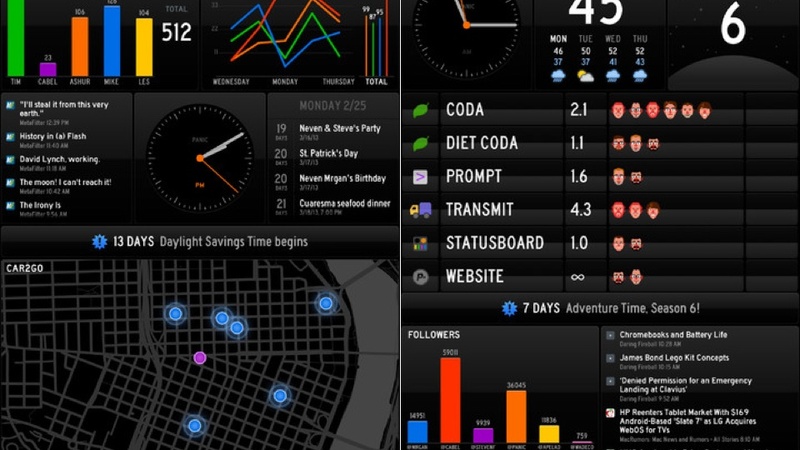 And you can even use whatever personal data you have handy to throw into a widget. So if you happen to own a business (which is where it seems they're really going with this feature) you can use it to display all sorts of fun stats (company earnings, major goals, which employees are closest to getting fired to incite healthy competition—whatever you want!) and on an even bigger screen for all to see. So while this probably isn't going to be useful for the more casual consumer, those who do need it (and you most likely know who you are) will highly benefit. You can get it at the iTunes store here. 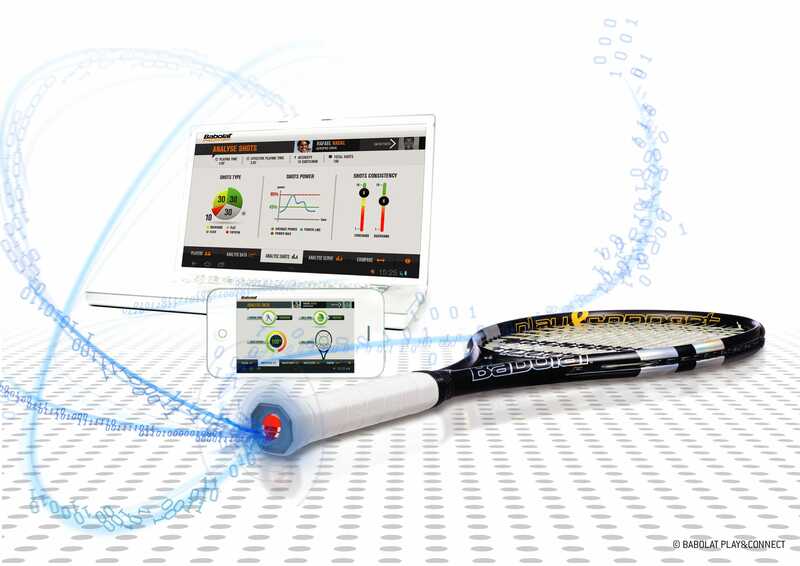 Beamz has been firing lasers in the name of limb-flailing performance for a few years. Today, it's announced it's working with popular music-mixing software Virtual DJ to provide the aural filling in its laser sandwich. The controller is the same four-beamed multi-button affair we've seen before, but now with a custom version of the aforementioned DJ application to call its own, and make the set-up a cinch. On screen you'll see two representations of the Beamz controller (instead of decks) with instant visual feedback to let you know which beam is mapped to what. You can configure four different triggers at one time, controlling cue points, looping and so on. To add functionality, you can then use the large buttons at the base of the device to rotate through different mappings. The emphasis, of course, is on performance here with nary a rotary nor fader in sight (we imagine you'd be using your other controller for that, right?). The software and hardware combo are being bundled together as a deal, and if you want in, you can do so right away for $200. Not sure if it'll fit in your workflow? Perhaps head past the break, and see if that video doesn't change your mind. 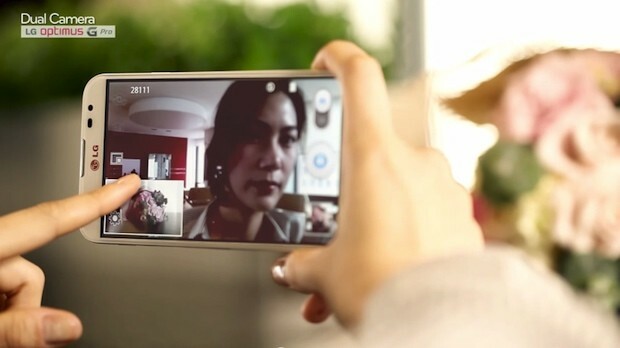 While the biggest question concerning LG's 5.5-inch Optimus G Pro -- when will it ship in the US -- remains officially TBA, the company has posted a video preview (embedded after the break) of the software update it's sending Korean early adopters this month. There's also no launch date for the "Value Pack" upgrade listed, but the video does give a clear demonstration of things like Smart Video that recognizes when the viewer looks away using eye tracking technology, Dual Camera using the front and back cameras at the same time for stills (it previously did this for video), and Pause & Resume recording that brings Vine-style seamless video cuts. Check out the video to experience it for yourself, we'll see if LG's phablet can beat the Galaxy S4 -- and, presumably, the next Galaxy Note -- to market in the US with these features. Update: We've got the English press release now, which details all the new features mentioned above plus a few more that are getting upgraded, and reveals the update will start going out to users on April 12th. Check out the full text after the break. Flash memory advancements usually sing the same tune: faster, smaller and high-density. Improve one of these attributes, and you've go the makings of a better chip on your hands. 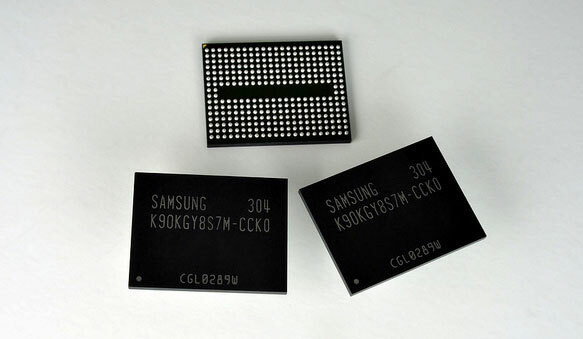 Samsung is focusing on the latter, announcing the mass production of its 10 nanometer 128-gigabit three-bit multi-level-cell NAND flash. That mouthful translates into flash chips with more memory per cell in a small form factor. Sammy says the new chip is capable of 400Mbps, and claims the highest density in the industry. The new silicon will be used to expand the company's supply of 128GB memory cards and high-volume solid state drives. It's also well positioned to be a better part for devices with embedded NAND storage, which Samsung hopes will keep it competitive. You'll find Samsung's announcement and all the granular details after the break. James Kendrick on ZDNet points out this handy, lesser-known feature. Once you enable Cloud Print (under Chrome's settings), all your phones and tablets that have the Chrome browser become "printers." So you can be browsing an article like this and "print" it to your iPad or Android phone, letting Cloud Print convert the page to a PDF file. I just tried this with my Nexus 7, and the web page instantly was sent to the SD card's download folder, under a new "ChromeSnapshots" subfolder. I also got a prompt for which app I wanted to open the PDF with. If you have Cloud Print apps installed on your mobile devices (such as the Android Cloud Print or Print Central Pro for iOS), you can easily send content between your devices as well: from your Android tablet to the iPhone, for example. Finally, Cloud Print also can save to Google Drive, converting any content that can be opened in the Chrome browser to PDF and sending it to that online storage space. Consumers these days have an insatiable demand for information, according to the consultants at trendwatching.com. With new possibilities unlocked by technology, consumers want to visualize data, map it, track it, alert it, evaluate it, and use it in ways that make life better. "Info Scarcity" is one of dozens of megatrends listed in the premium database at trendwatching to identify some products that fit into this trend. We see it everywhere, like in the following products. This clock tracks your sleep patterns in order to wake you up at exactly the right time. Available from July 2012, the Renew SleepClock from UK-based electronics brand GEAR4 is a dock which facilitates the tracking and management of sleep patterns in conjunction with an iOS device. Via inbuilt sensors, the Renew SleepClock detects users’ deep and light sleep phases, and can then wake them up at the most appropriate time. The device generates personalized recommendations based on individual sleep patterns, while the associated free app enables users to monitor sleep habits over time. The Renew SleepClock retails for USD 129.95. Twine connects everyday objects to the Inte! rnet, li ke sending you a text when your laundry is done. Available to buy from September 2012, Twine is an wireless electronic device which enables consumers to connect everyday objects with the internet. The device is integrated with a cloud-based service and equipped with a temperature sensor and accelerometer (which detects orientation). Via a simple web app, individuals can program and monitor Twines; for example, users could track their home’s temperature, with Twine sending them a tweet if it’s over 90 degrees, or opt to receive a text message when their laundry is done. 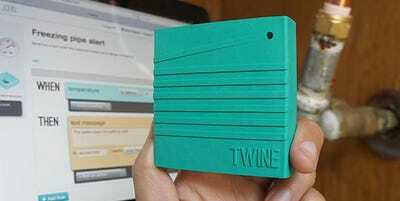 Twine was designed by US-based MIT Lab’s project Supermechanical, and is priced at USD 99. Stick-N-Find means you never have to lose your keys again. Stick-N-Find is a Bluetooth-enabled sticker that consumers can place on their possessions so that they can be found via a smartphone app. The disc-shaped sticker is 4.1mm thick and can be affixed to TV remotes, phones, house keys, passports or even pet collars. The corresponding app can be set to Radar, which displays the distance from connected items, or Virtual Leash mode, where the user receives an alarm if their possession is removed from a certain radius. After launching on crowdfunding site Indiegogo in December 2012, the US-based creators received the fundi! ng neede d to go into production. A pack of two Stick-N-Find stickers is priced at USD 35. 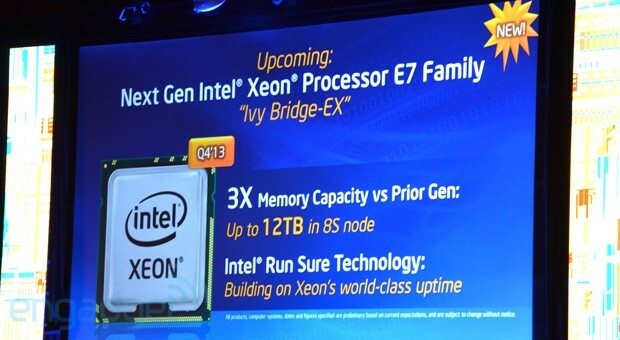 Truth be told, not much has been announced on the consumer end at IDF Beijing earlier today, but Intel did tease us with upcoming refreshes of its Xeon E7, E5 and E3 families for the enterprise space. 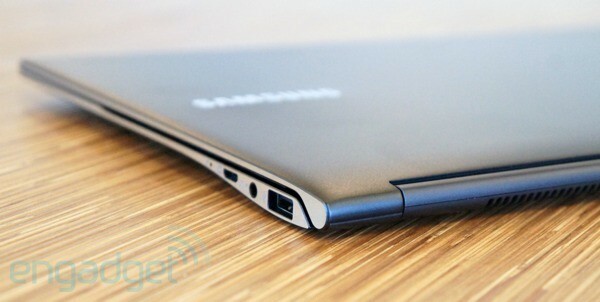 In chronological order we have the Haswell-based E3 with TDP as low as 13W, and it's coming in mid-2013. This is followed by the "Ivy Bridge-EP" E5 in Q3 and then the "Ivy Bridge-EX" E7 series in Q4, the latter of which boasting three times the memory capacity of its predecessor, along with Intel's Run Sure reliability feature. More details in the press release after the break if you're into these flavors of chips. Also mentioned at the keynote were the now-available Atom S12x9 family for storage systems, as well as a couple of upcoming 22nm 64-bit Atom SoCs codenamed "Avoton" and "Rangeley," both of which are sampling now and are expected to launch in the second half of this year. We've actually already heard of the microserver-friendly Avoton from Facebook's Open Compute Project, whereas Rangeley for network infrastructures was also detailed around the same time; so again, hit up the press release for more details. Oh ZTE you cheeky monkey. 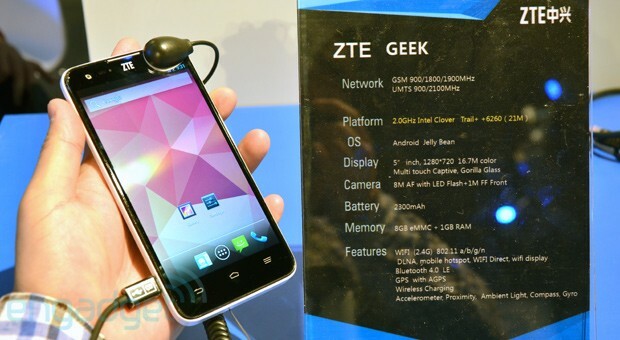 Towards the end of day one at IDF in Beijing, we stumbled upon this awkwardly titled Android Jelly Bean phone that is the Geek at ZTE's booth. Needless to say, this is yet another phone powered by an Intel processor -- a 2GHz Clover Trail+ Atom to be exact, which is what Lenovo's K900 also has. The rest of the device isn't too shabby, either: you get a nice 5-inch 720p display with Gorilla Glass, along with an 8-megapixel main camera, a 1-megapixel front-facing camera, 8GB of storage space, 1GB of RAM, 2,300mAh battery and wireless charging. Radio-wise we see UMTS 900/2100 courtesy of Intel's XMM 6260 chip, and there's also the usual lot of 802.11a/b/g/n WiFi, Bluetooth 4.0 LE and GPS. Design-wise the Geek takes a huge step away from the Grand X IN and shares a similarly clean look with the Grand S, but without the black eye around the main camera, and this particular unit had a glossy finish in white. Since ZTE admitted that it had to rush this prototype for exhibition at IDF, we'll come back to the build quality once we see a final retail unit. Until then, check out our hands-on video and the press release after the break. Imagine if silicon chips were smaller than a grain of sand and could be made using a laser printer: everything under the sun could be made unobtrusively smart. But that's not science fiction, and you don't have to imagine too hard—because researchers at Xerox's Palo Alto Research Center have already done it. 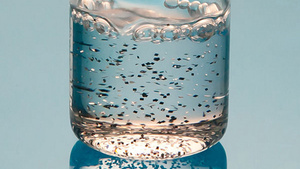 With financing from the National Science Foundation and from Darpa, the Pentagon's Defense Advanced Research Projects Agency, [PARC researchers] have designed a laser-printer-like machine that will precisely place tens or even hundreds of thousands of chiplets, each no larger than a grain of sand, on a surface in exactly the right location and in the right orientation. The chiplets can be both microprocessors and computer memory as well as the other circuits needed to create complete computers. They can also be analog devices known as microelectromechanical systems, or MEMS, that perform tasks like sensing heat, pressure or motion. Which all sounds great, but what exactly will they be used for? Well, brace yourself, because the researchers envisage being able to deposit the tiny chips within objects that are 3D-printed: essentially, they want to create everyday objects that have computing punch embedded in them from the get-go. The possibilities that offers up are so insanely wide and varied that it almost defies belief, but perhaps most excitingly it opens up the possibility of smearing technology—say, memory or storage—across the whole of a physical object, as opposed to in one small concentrated lump. Samsung catapulted to the top of the European smartphone market last year, capitalizing on the tumbles of faltering rival Nokia, according to data from comScore. Samsung accounted for 32 percent of all smartphones used in France, Germany, Italy, Spain, and the UK — up from its 18 percent share at year-end 2011. These five markets combined for 136 million active smartphones at the end of 2012, up from approximately 105 million a year prior. Note that comScore tracks installed base market share, indicating that Samsung's share of shipments was likely much larger. It appears that Samsung is eating up market share from onetime stalwart Nokia, which is in the middle of a rocky transition from its proprietary Symbian platform to Microsoft's Windows Phone. 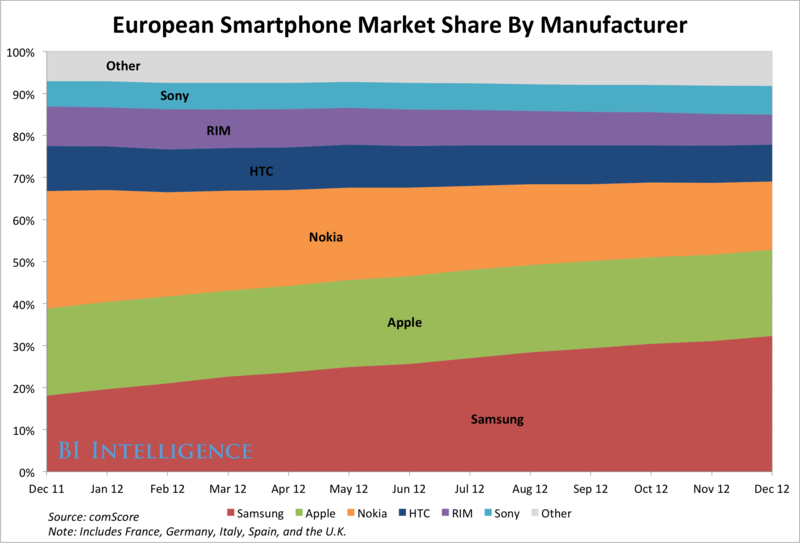 Nokia's share of the European smartphone market plummeted from 28 percent in December 2011 to 16 percent at the end of last year. The release of Windows Phone 8 in late October does not appear to have arrested its fall. Click here to view a larger version of this chart. Please follow BI Intelligence on Twitter. It looks like Intel's planning on bringing its Next Unit of Computing (NUC) mini-computer upmarket, if a leaked roadmap from ComputerBase.de is to be believed. 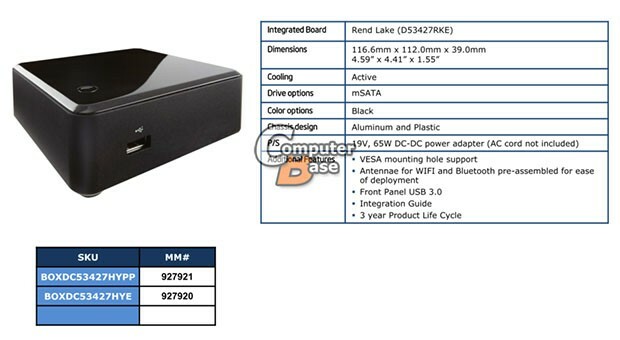 The documents look highly tentative, but if they come to fruition then Intel will start offering new NUCs (code-named "Skull Canyon" and "Horse Canyon") with Intel Core i7-3537U and Core i5-3427U processors along with its current Core i3 model during the first half of the year. New motherboards would be used that alter the slot configurations substantially: the Thunderbolt connector would be dropped in favor of USB 3.0 -- three on the i7 model, one on the i5 -- with DisplayPort 1.1a added to each along with HDMI 1.4a connectors. There's no pricing yet, but we found that you'd need to nearly double the price of the original NUC to create a working computer, so bear that in mind when you're looking at the leaked slides after the break. 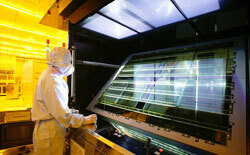 AU Optronics says it'll soon join Samsung at a table for two making 5-inch, full-HD OLED smartphone displays. It'll show off the technology at the China Optoelectronics Display expo starting tomorrow, promising 443 ppi, lower power consumption, fast response times and wide viewing angles. While others build 1,080 x 1,920 LCD screens for models like HTC's One, currently Samsung has a monopoly on OLEDs of that size and resolution. However, it likely wants to set those aside for its soon-to-ship 5-inch, 1080p Galaxy S 4 -- so, AU's announcement is likely good news for other handset makers seeking something punchier than LCD for that form factor. The 30- and 56-inch 4K OLED monitor prototypes that Sony introduced yesterday are sitting prominently in the company's booth here at NAB, and they're really quite something. These sets offer wider viewing angles and reduced color shift compared to previous-gen monitors, and Sony is emphasizing the technology's color accuracy. We got a taste of the 56-inch, 3,840 x 2,160 model back at CES, but it looks like we can extinguish all hopes of this monitor making it to the consumer market anytime soon. Instead, it will be available to professionals working with 4K content. 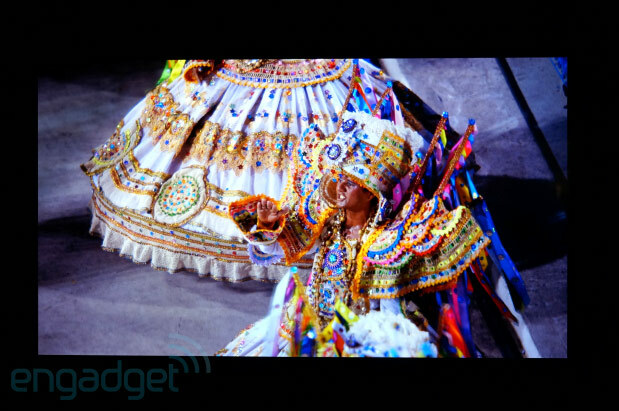 Even though the prototype won't make it to our living room, we couldn't help but marvel at the image quality: to say that the footage of Carnivale popped off the screen would be an understatement -- colors were just that vibrant and details were incredibly lifelike.